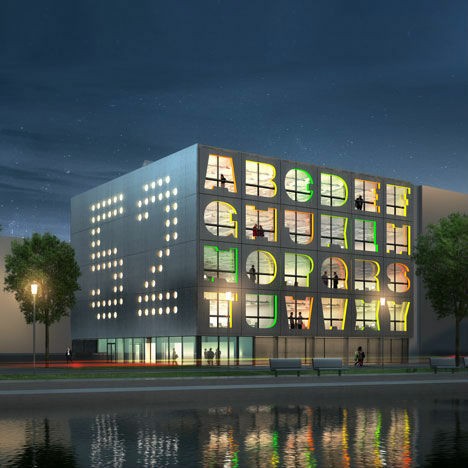 No, that’s not a school building, though local schoolchildren will undoubtedly gaze at the facade and think about their ABCs (and perhaps get confused, realizing that a few letters are missing.) 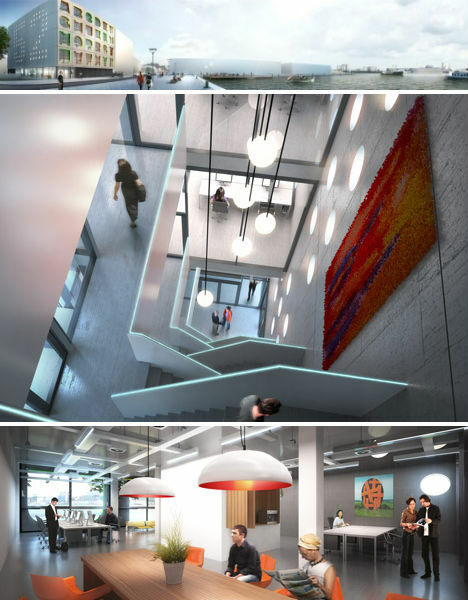 The Alphabet Building is Dutch design firm MVRDV’s approach to providing more suitable office space for small to mid-sized creative companies in Amsterdam, a city where such space is sorely lacking. 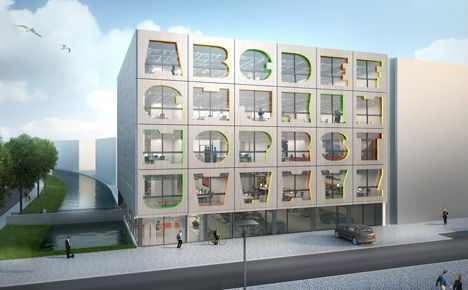 Each letter-shaped cut-out in the Alphabet Building’s metal facade provides a large window for an individual office unit, and signifies the address extension for the occupying business. On the east facade, a series of dotted windows forms the number 52, which is the building’s street address. 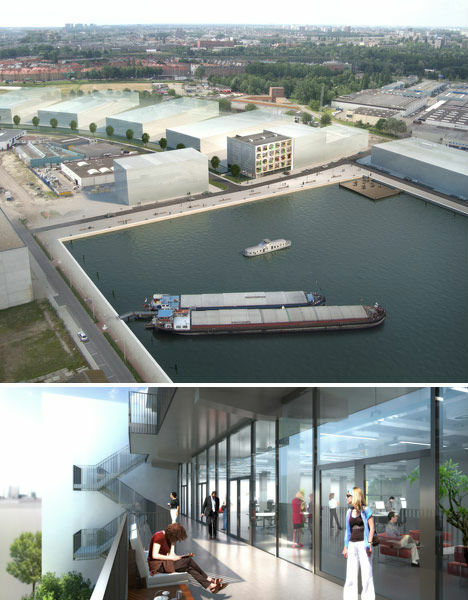 The building is located in the Amsterdam port refurbishment Minervahaven, which is being transformed into a creative hub, and features high-ceilinged loft-like interior spaces.